How to download and Install Gears TV APK? How to install Gears TV APK on Android Smartphone and Tablet? How To Download Gears TV On Firestick? Looking ahead to download gears tv apk? Well if the answer is yes then read on. There is no doubt that Gears TV is one of the top names when it comes to paid premium IPTV streaming in 1080p and HD quality. GearsTV offers you a cheap yet high efficient premium and reliable alternative to those TV cables. As a result, you can enjoy amazing contents on your Android TV, Amazon Firestick and Smart TV easily. 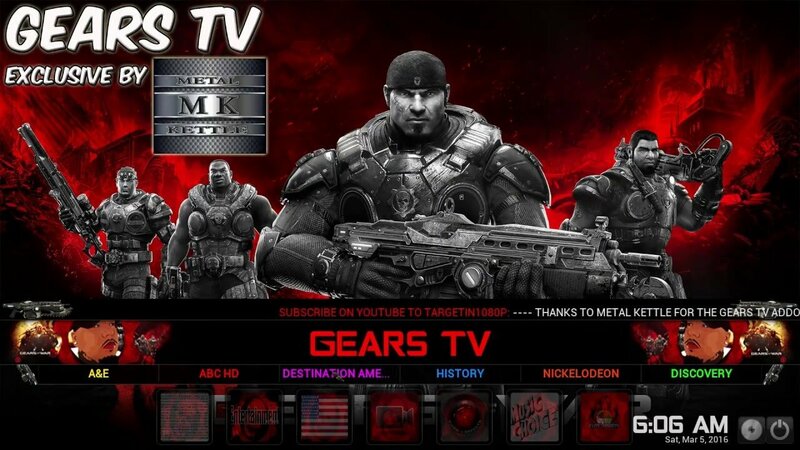 In this article, we are going to share a link to the gears tv download. As well as we will talk about the whole steps that you have to follow to install the app on your Android smartphone, Android TV and on Amazon Firestick. Before we go ahead and talk about the steps that you have to follow to install Gears TV APK. Let’s download the application at first. To download the app, you can click on this below download button. Once you click on the download button, the download will start in a bit. Over here you will find the “Allow installation of apps from unknown sources” option. Enable the option, and you are all done. Step 1: First of all tap on the gears launcher apk in order to install it. Step 2: After that tap on the install button and wait for a couple of seconds. Step 3: Once done tap on the open button to launch GearsTV. Step 4: Now you have to tap on the clear gears icon and click on the update button. Step 5: Now wait for the update to get finished. Step 6: Once the update is finished Gears TV APK will get installed to your smartphone. After that accept the license agreement and enter your username and password and you are all done. At first before doing any further steps we need to enable the allow installation of apps from unknown source option. To enable this option you have to follow this path: Settings > Device > Developer Options > Select Apps from Unknown sources > Click Turn On if prompted. Step 1: Go to the home screen and the press on the microphone button from the remote and speak downloader. Or you can type down the same. Step 2: Click on the downloader icon and then go to the download you own menu. Step 3: Over here you have to type down the https://thegeekweb.com/gearstv.apk URL. Step 4: After that, you have to click on the gearstv.apk file, and the download will begin. Step 5: Then click on the install button and once the installation process is completed click on open. Step 6: Then go to the Settings > Applications > Manage Installed Applications > Gears TV > Clear Cache > Launch Application. That’s it. Now you can use GearsTV on your Amazon Firestick. So those were all the steps that you have to follow to download and install gears tv apk. Now go ahead and check out the steps and see they are working for you. Also for any questions, feel free to comment below.